Chris is born and raised in new york. 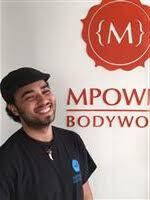 He is a New York State licensed massage therapist. He received his certification at the Swedish institute. People have always said he has a great touch, which always fuels his passion to heal others through touch. He is an avid video game enthusiast, and loves Mixed Martial Arts, and yoga. Chris used the perfect amount of pressure to relax me, head to toe. He spent extra time focusing on the areas I requested - my forearms, wrists, and hands - and now they feel great! Great thorough massage and pleasant experience. I asked that we spend the hour addressing the tension in my back and shoulders, and he was thoughtful and thorough in targeting the spots most in need of attention. He applied the exact right amount of pressure: strong enough that there was slight discomfort working through the tensest areas, but never harsh enough to cause pain. I left feeling refreshed. I offered a massage to my Mum and she was satisfied! Chris was awesome! Attentive, calming, personable with great technique. Made me feel at ease and relaxed right away and addressed all my issues. Highly highly recommend Chris!! Chris gave me an excellent massage and clearly listened when I explained my various aches and pains. I will be happy to return to him. My only minor comments are that the massage did not last the full 75 minutes, and the room was a little chilly. Chris listened to my concerns about my problem areas which happened to be my neck and back and focused on those issues.